Orginalmönstret är på Engelska men Svensk översättning följer med. Falls of Foyers stickar du i The Road to China blend was born from our days of owning a small mill back in Maine in the early days of The Fibre Co. Years of fibre exploration at the carding machine hand blending raw fleeces led to the pursuit of the perfect yarn made from truly luxurious fibres. 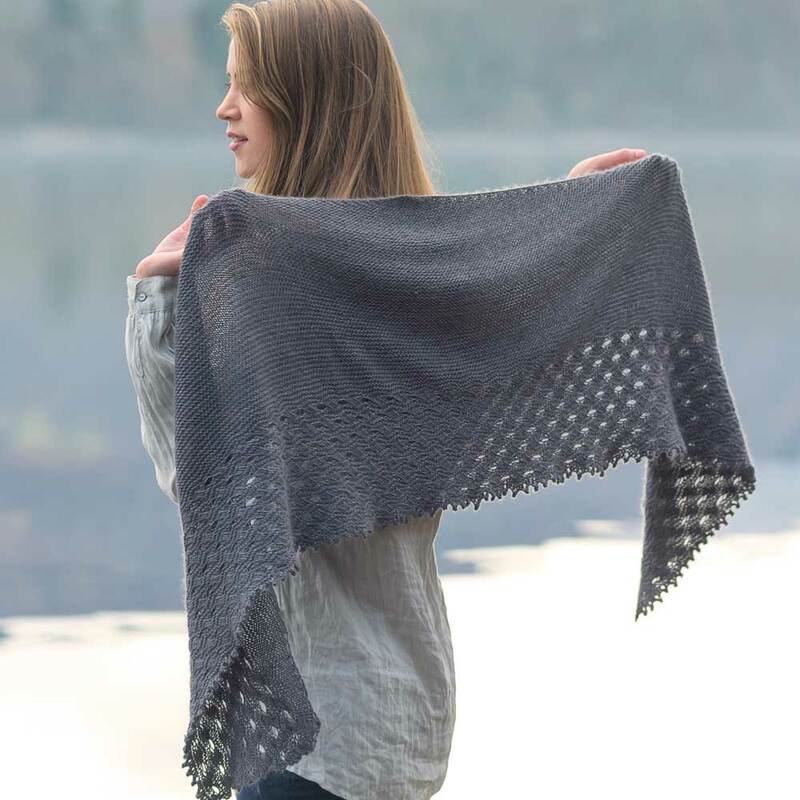 The resulting Road to China blend creates a knit fabric with a soft halo but enough definition to explore subtle textures and shifting patterns. In keeping with the tone of gentle decadence that Road to China brings, we developed a colour palette that is inspired by nature’s jewels and dyed each hank to work in harmony with the raw fibres that go into the blend. Combining the light fawn of the baby alpaca with the soft tones of camel and cashmere as well as the lustrous sheen of silk gives the perfect base for subtle duotones that peek through our saturated colours. Road to China Light is the hank we reach for when we want to create something truly special. The 50g hanks are the perfect treat for dreary afternoons hidden away from the world for a few moments as we focus on our making.